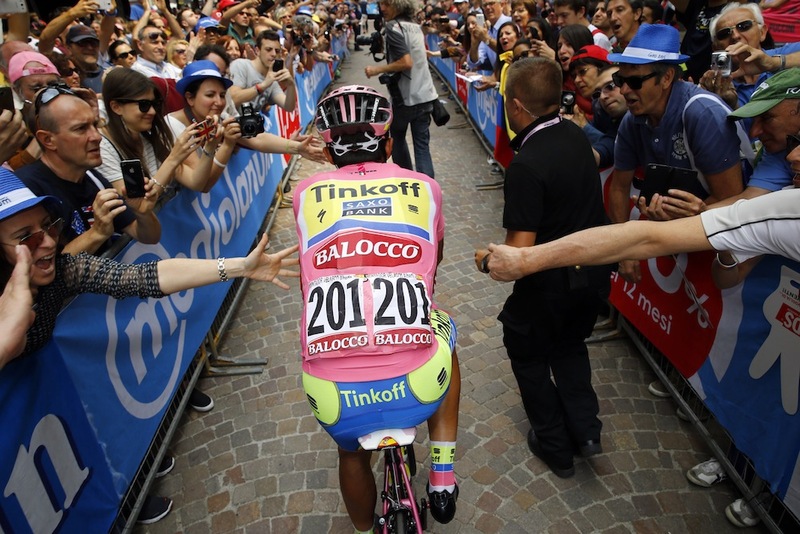 We often look forwards to the months of July and August for the summer cycling action, but we would go amiss without the one in June, the Giro d’Italia. And if the Classics hadn’t stirred you already, then this was the Grand-Tour (GT) to rally the fans. It’s true; the outcome may have been predictable from the very beginning. Nevertheless there was plenty of breakaways and Barouderus ‘zanshin’ to distinguish the supporting-cast in the most beautiful race of all. It had to be in Italy! Alberto ‘Bertie’ Contador captured his seventh GT title from a fascinatingly strong Astana Team, particularly in the guise of Mikel Landa. Riding for the captain of the Kazak team, Fabio Aru, Landa was available to do both domestique and attacking duties. Quite often leaving us wondering, how much would he have achieved if given the freedom to ride for himself. Looking back at Bertie, he is setting himself up fantastically for the Tour de France. This isn’t simply based on his palmares, but his strength and talent at the most demanding times in a race. Often isolated from team mates and heavily unnumbered during the most crucial times, Bertie continues to dominate as a strategist and pedalling master. The tour is only weeks away, and Bertie in pink has galvanised in many people’s minds his worthiness to don the yellow in France. However, lurking in the backdrop are 3 other notable captains seeking to establish their cycling kingdom; all of whom carry a GT win and a arguably a stronger team than Bertie can muster. Chris Froome is the nominated leader for Team-Sky. A worthy challenger, if not the favourite. As captain and GT specialist, he will be planning his entire year around the three gruelling weeks in France. Add to this plan, Froomes detail of foot soldiers – with the likes of National Champion, Peter Kennaugh; former champ, Ian Stannard and Geraint Thomas and Leopold Konig; Froome has an envious team behind him. Nairo Quintana, the previous Giro champion will also be building his goals towards the race. Suffering injury during the National Chammpionships has been a drawback, but one that will further motivate the young Columbian. With a superbly experienced Spanish team, well suited to the demands of hard-climbing, there is no doubt that the skirmishes will be thick and fast. It will be interesting to note if they will produce some surprises on the flatter/cobble stages early on in the Tour. Returning as head-honcho of Team-Astana and most notably, 2014 TdF champion, Vincenzo Nibali will be hoping to repeat his success and is certainly one of the main ‘blockers’ to Bertie’s dominance this year. Not only is this set to be a thrilling story unfolding over three weeks, but of monumental importance to pro-cycling. It has almost been a generation since such a field of specialists and protagonists of this calibre have come to face-off. 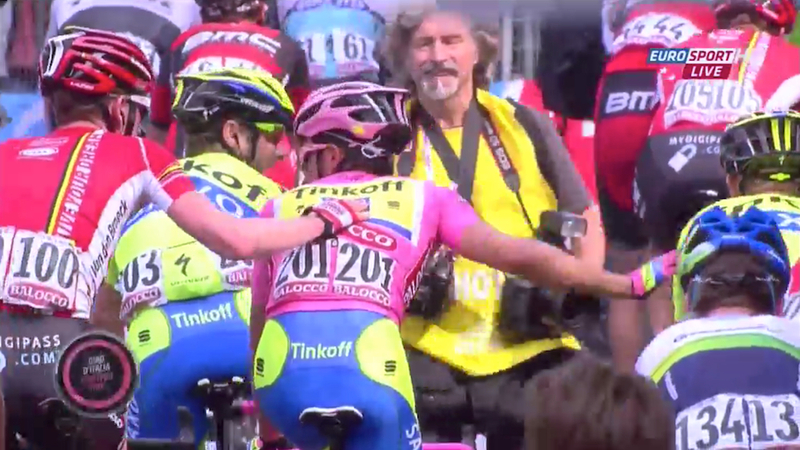 Not since the time of Ulrich, Armstrong and Pantani have we seen such coming-together. Considering the stages our riders are at in their lives: Bertie contemplating retirement; Froome and Nibali in their pinnacle, whilst Quintana, arguably at the start of his, then there is the plethora of neo-pros coming through, we could see more surprises then sure-things in this race. We also see the new-world of cycling punching through. For a time now, the North Americans have been knocking on the European door of cycling, but with resurgence of Latin and African cycling, with the presence of Froome, but in the welcome form of MTN Qhubeka! Much is happening in the build up to the Tour, but that doesn’t detract from the present-truth, Bertie is in Pink and ready for his double. His appointment with history is going to be thrilling! Bertie has one GT out of the way. He is bound to be both motivated, yet perfectly composed for what lies ahead of him. If he attacks early in the Tour, he could burn himself out. If he doesn’t follow the moves of his rivals, he’ll miss out to the alliance of contenders lined up against him. But, if he puts everything in place at the right time, come July, Bertie may not just have an eye on the Champs-Elysees, but the Vuelta too. A triple and not a double, could be the retirement dream he is hoping for.